Packing for vacation? Not always easy. 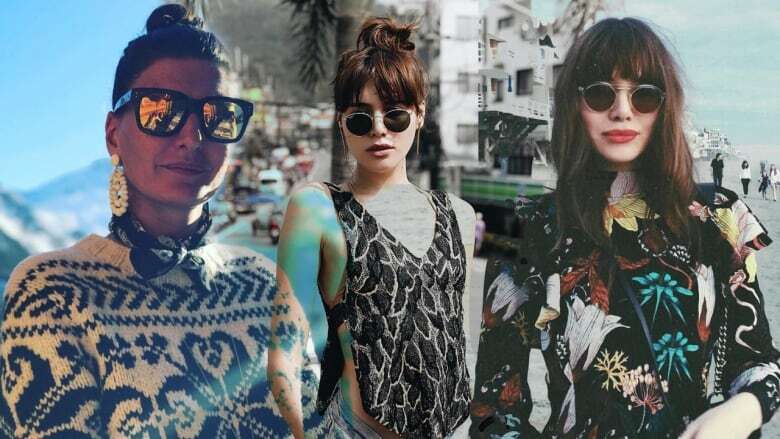 Here's a little inspiration from our favourite fashionable travellers. Deciding on a travel destination? Easy. What to pack? Ugh! 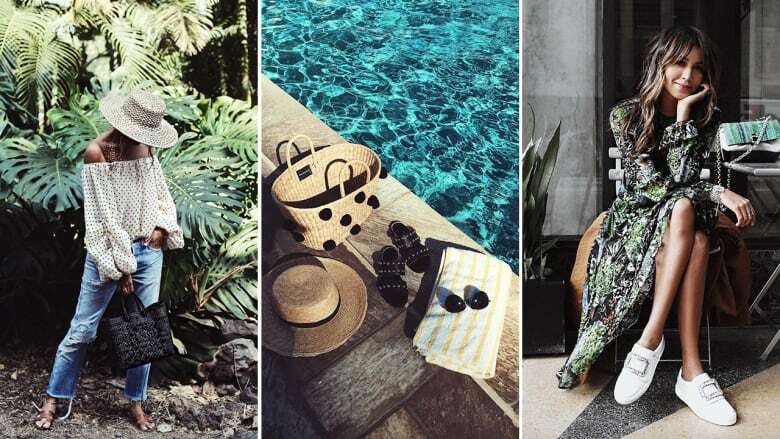 We feel you — but we also feel that a little inspiration from our favourite fashionable travellers can turn this chore into a delight. 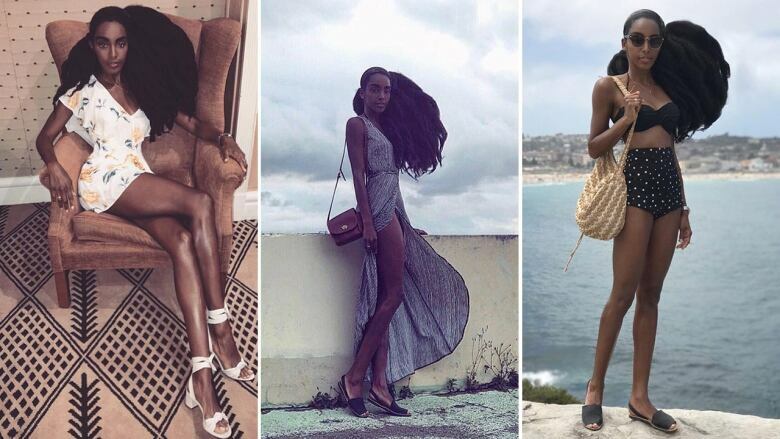 These fashion editors and bloggers spend a good portion of their time jetting across the globe, and thankfully they document their enviable outfits on Instagram. Who better to aid in the quest for perfect travel style? What better way to get Parisian style inspiration than from one of the city of style's top style icons? 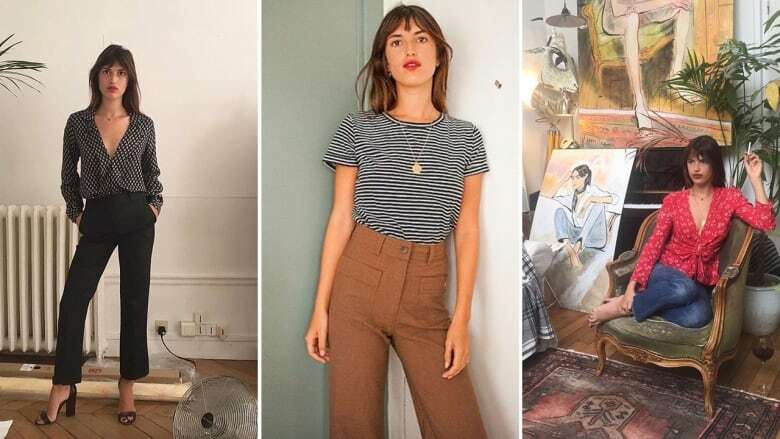 One look at Jeanne Damas' Instagram account and it is clear to see how inspired she is by the women in the city around her. Damas is a Jane Birken style-lover, red stained lip-wearer, and lover of polka dots, stripes, jeans, and wrap dresses that convey a fresh easy look synonymous with french girl style. There is a reason style blogger Julie Sariñana has 4.3 million followers and counting. Her laid-back California girl style, mixed with a travel itinerary that takes her across the globe, provides a never ending source of travel outfits. While her Cali look is most prominent, she is also seen in the latest swimsuit, with a cute beach bag, and all accessories in between. A perfect starting point for inspiration when packing for any tropical beach location. Natalie Lim Suarez of the cult-followed blog "Natalie Off Duty", may be inspired by NYC 'off duty model' style, but her laid back essence, and vintage rock star styling is sending us all kinds of LA outfit inspiration. Instagram follower, beware. 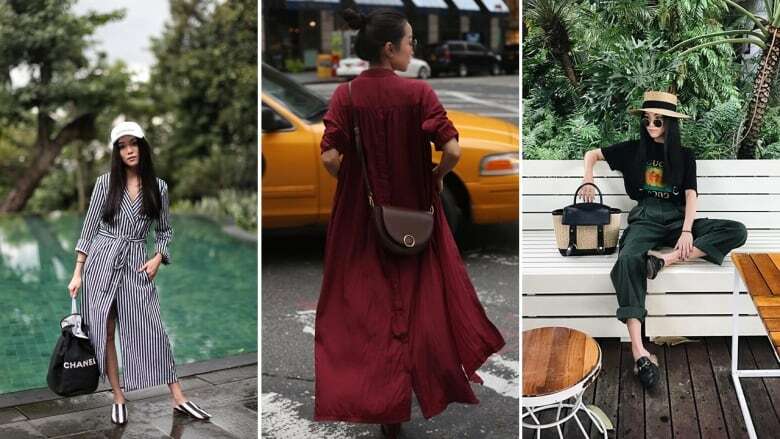 One look at Yoyo Cao's account and you'll spend the better half of a day scrolling through one desirable outfit after the next. Yoyo has a way of mixing current trends with personal style, leaving us with a covetable, borrowed-from-the-boys look. As one of Singapore's top social media influencers, one would be wise to take some cues from her when heading to this South Asian spot. Previously the Sunday Times Style's Wardrobe Mistress and fashion features editor, Pandora Sykes has gained a huge following with her quirky London personal style. 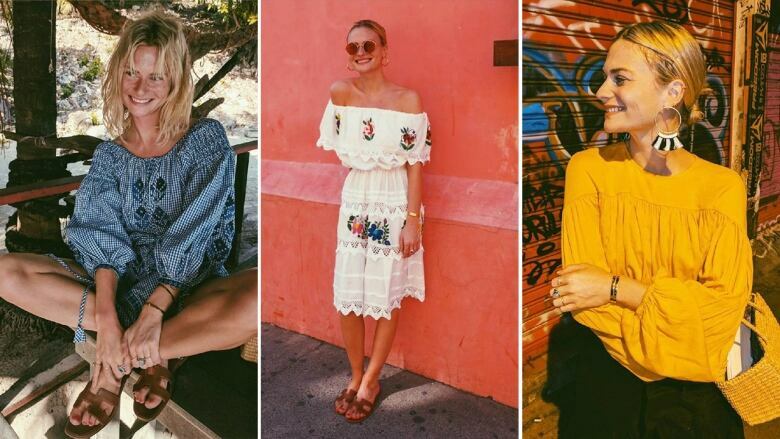 As much as we love her city style, her vacation style is even more enviable. Beachy hair, embroidered dresses, ruffled swimsuits, and raffia accessories are just a few things you'll love on her account. Cipriana Quann is the co-founder and editor-in-chief of lifestyle website, Urban Bush Babes, a site that was created to support, encourage, and highlight, the multi-faceted lives of women of colour. Cipriana is known for her vintage fashion and unique sense of style, and her recent trip to Australia has left us with a supply of outfit ideas for an Aussie getaway. 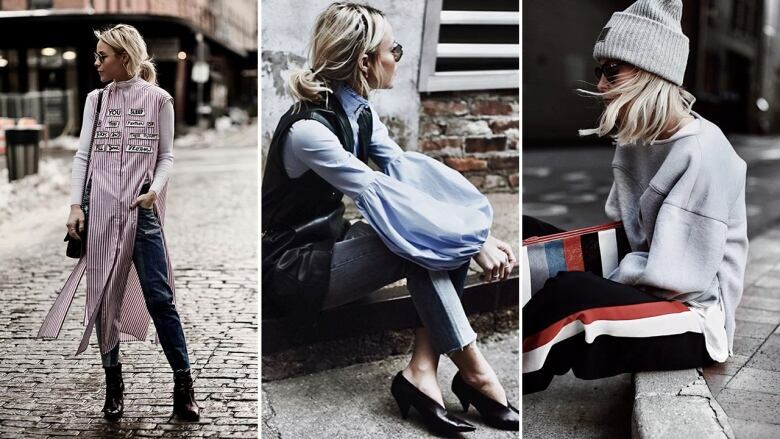 Nashville nurse turned style blogger, Mary Seng, has acquired a mass following in a very short time. One look at her Instagram and blog and you'll see why; effortless outfits perfect for a busy city lifestyle are at your fingertips when scrolling through her account. Nicole Warne is one of the style industry's leading influencers. 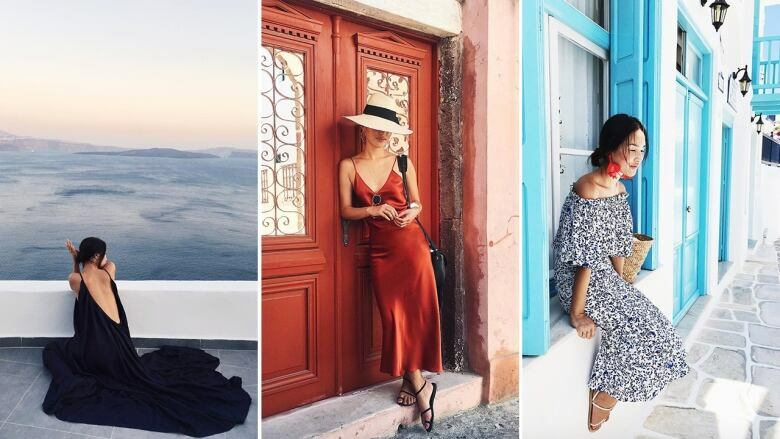 Her success has taken her across the globe, and her Instagram account gives us a look at her admirable globetrotting style. Her dreamy, bohemian outfits are rivaled only by the gorgeous places she visits. Alexandra Pereira's success started in her home country of Spain. 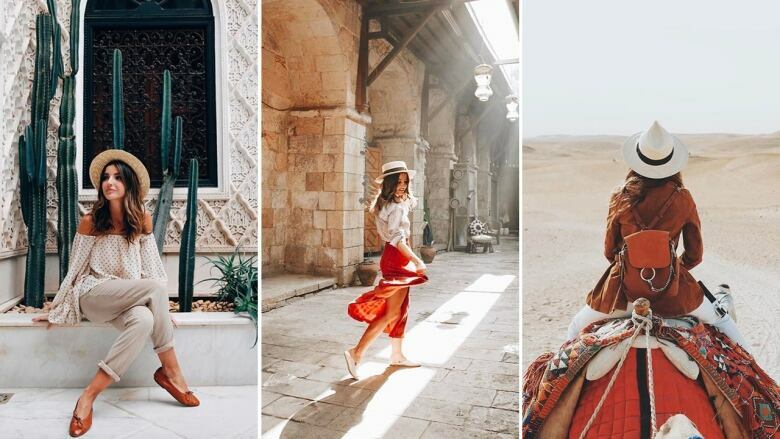 It's no surprise then that her outfits have an easy authentic style that suits a Moroccan vacation. As a W magazine contributing editor, and senior editor at Vogue Japan, Gio's style can be seen via her influence on the pages of the world's most renowned publications, as well as her on her personal site and accounts where we see her own personal style. While her NYC style is something to marvel at, the editor loves a good ski trip and that means lots and lots of winter sport outfit inspiration.